Your perfect job with the perfect company may not be advertised. So, how do you find gigs from within the hidden job market? You ask about them. Here’s how to write a letter of interest that will get you noticed . . . and maybe even result in a job. Years ago, before I was the full-blown word monkey that I am today, I relocated to a new city. I’d left a job I loved—doing marketing for a dog grooming school. I knew I wanted to keep working in a field related to both marketing and pets. But I also knew that, in the small city I’d moved to, that was going to be a pretty slim job search net to cast. I’d have to get creative. I set my sights on a large, upscale pet boarding kennel. I wrote the kennel’s owners a letter of interest, including clips from a portfolio of marketing materials I’d created, and asked them if they needed some help from an experienced pet industry professional to build their brand even further. Although the kennel didn’t have an opening, or any role related to marketing, they did call me in to chat. Two weeks later, they created a position for me and I was employed doing something I enjoyed in an industry I loved. 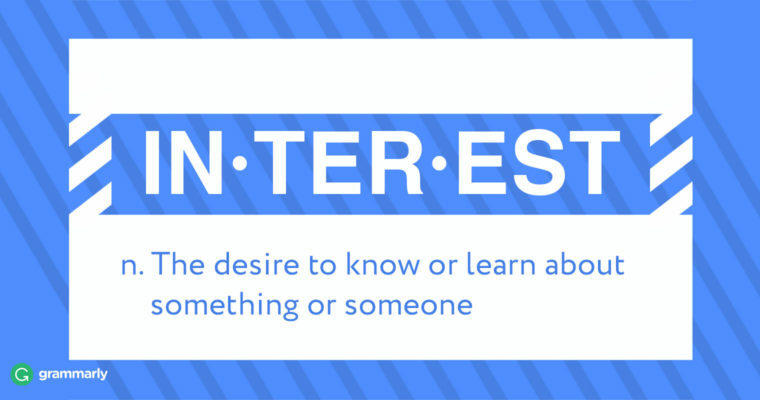 The letter of interest is a job prospecting tool. Job hunting legend has it that 70 to 80 percent of open positions are never advertised. Although that figure is probably way higher than it should be, the truth is there are potential job opportunities out there that you’re not hooking as you troll the waters of Glassdoor, Indeed, and Monster.com. Say you’re intrigued by a young startup and you wish they were hiring for a position that fit your skills. You could haunt the careers page of their website and hope for the best, or you could write a letter of interest to introduce yourself and begin the networking process. Which do you think will yield the best results? A letter of interest may not get you immediately hired, but it has many advantages. It shows you have both interest and initiative—two things employers are always looking for. It also demonstrates your ability to market yourself through personal branding. In many cases, your letter will be regarded as a formal request to be considered for employment, so it will become part of a human resources file. When a position does open, guess whose letter and resume will be at the top of the pile instead of buried under a mountain of applications? Your goal is to find out exactly what the company of your dreams looks for in an employee. Then, you’re going to become that person—the mythical Ideal Candidate. 1 Write it like a business letter. The first and most important thing to remember about writing a letter of interest is that it’s a business letter—treat it like one. Use the standard business letter format. Be professional. Here’s a tip: Being professional doesn’t mean being stuffy. It’s always a good idea to try to match the communication style of the company you’re reaching out to. Look at their marketing copy, job postings, and website. If their approach to communication is more casual, yours can be, too. 2 Find the right contact. I scored that marketing job in a long-ago time before the Internet was mainstream. When I wrote my hard copy letter and prepared my clips, I didn’t even know what a letter of interest was. I was operating on instinct. You have the advantage of a ton of information right in your pocket anytime you need it. Let’s use it! Your goal is to find out exactly what the company of your dreams looks for in an employee. Then, you’re going to become that person—the mythical Ideal Candidate. Check the company’s social media feeds and the careers and culture pages on its website for clues about the type of people they hire. Read job descriptions for their open positions; they’ll give you insight even if the jobs aren’t a fit for your talents. Learn about their brand style—are they funky and fun or conservative and all business? Mirror that style to show that you’d be a good cultural fit. 4 Show how you’d add value. Unlike a cover letter, where you’re homing in on skills and traits for a specific position, a letter of interest should demonstrate to the employer that you have a variety of skills that would make you a great fit in lots of different places. Think broadly and you’ll open more doors. What skills would make you an asset to the company? The key to a successful letter of interest is not in showing off what you can do, but in showing what you can do for the company. Demonstrate excitement, not arrogance. 5 Keep it short, but write it powerfully. Hiring managers and department heads don’t have a lot of extra time to read your magnum opus on why you’re awesome. The key is to be brief but memorable. Make every word count. Avoid filler words and phrases. Keep your writing lean and clean. Use some power words to make your writing pop. Let’s start with the simple stuff first! (You do know what day it is, right?) You’ll need this only for hard copy letters; in email, the date stamp is fine. In a hard copy letter, put your contact info here. Include your phone number and email address. In an email, include your contact information after your signature, instead. Here’s a tip: You don’t have to put Phone: and Email: in front of your phone number and email address. That’s just clutter. The hiring manager probably won’t have trouble figuring out what that ten-digit number and the thing with the @ symbol are. Greet the hiring manager or department head by name. And please do your best to find a name. (See Tip #2!) Avoid To Whom It May Concern. Nobody ever got truly concerned with, or even interested in, an email that began thus. Briefly introduce yourself and tell the hiring manager why you’re writing. Share your enthusiasm for the company—why do you want to work there? The key to a successful letter of interest is not in showing off what you can do, but in showing what you can do for the company. Think in terms of excitement, not arrogance. Close by casting a networking net. You’re not going to close by saying something like “I hope you’ll keep me in mind if you have an opening in the future,” right? Never! You’re better than that. Close by asking for something. Use a call-to-action (CTA) to encourage the hiring manager to connect with you. You might ask for an informational interview—an opportunity for you to sit down with the hiring manager and learn more about the company. I’ve been following the Alpha Beta Company’s trajectory since it launched in 2007. When the company reached 10 million active users last month, I thought about how exciting it would be to be part of a team with the potential to grow that number to 20 million and beyond. I’m writing you to express my interest in joining your team and to learn more about upcoming employment opportunities. I’ve been a user acquisition manager at XYZ, Inc. for five years. At XYZ, I developed the go-to-market strategy for new apps and performed analysis to calculate how our campaigns influenced user engagement. As you may know, XYZ operates in a smaller niche market. Even so, during my time with them, XYZ’s user base grew from just five hundred beta users to over 3 million today. In the ten years since I graduated with a bachelor of science in business and marketing from Great Big University, I’ve managed and launched hundreds of successful marketing campaigns on channels ranging from print media to social media to videos. I’m excited by the idea of working in a larger market and for a company that is constantly innovating and recognized as an industry leader. I’ve enclosed my resume, which outlines my experience and skills. I’d love to sit down and talk with you about Alpha Beta’s explosive growth and new user acquisition strategy. Would you be open to meeting with me at your convenience?